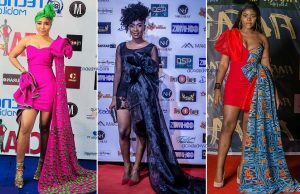 While Lucie Memba, Nsang Dilong, Stephanie Tum stunned on the red carpet, fashion forward actress, Malvis Ann Mohvu couldn’t make the Best Dressed List on day one of the Cameroon Film Festival (CAMIFF) 2017 in Buea. 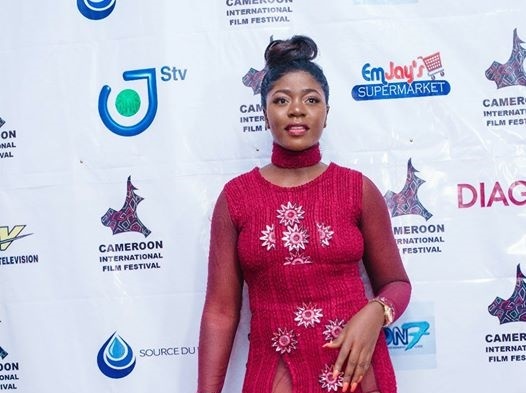 Malvis showed up to the CAMIFF red carpet on April 24 in a wine-colored gown with two very long slits at the front that helped flashed her long but thicker legs. She also went for a big chocker (same wine color) which didn’t just look like it was a big head tie tied around her neck but seemed unbearable… even for her! 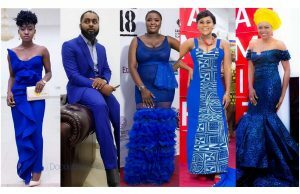 READ MORE: See CAMIFF 2017’s Red Carpet Looks! Unfortunately for the screen princess, the dress lacked fitting and couldn’t produce her number-eight figure we’re all familiar with. To make matters worse, her girls were all over the place just because she might have forgotten to provide them with a nice firm piece of bra! “Personally, I think Malvis is a beautiful and talented lady and that’s a nice dress. But please can someone just be honest yo.say that dress is better of on.a slimmer person, and that chocker is toooo thick.I mean it’s like a turtle neck dress. Oh and her breast. I dunno what’s going on there but they are at some weird angles. .. Worst still the cholesterol accumulated on her thighs. 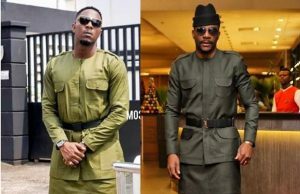 I think she shouldn’t have worn a dress with a slit with all that cholesterol. . Just a personal opinion,” Shade Grey commented on Malvis’ dress on Facebook. 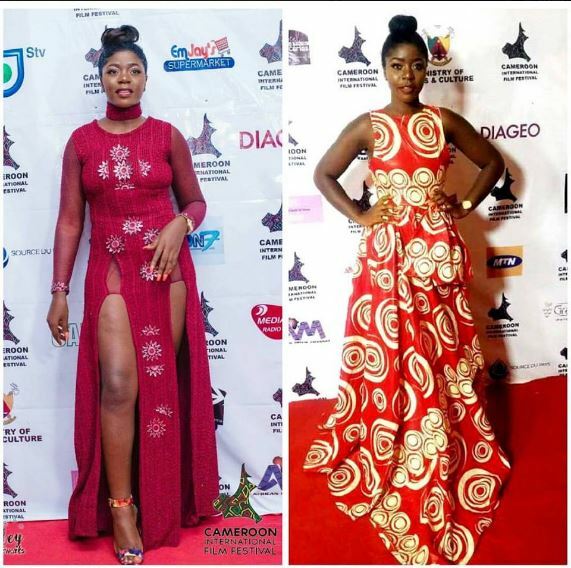 “Beautiful Malvis but that dress and breast, something went wrong… love your nails, shoe and face babe,” another fan added. ” I will be honest.You look “fat” in that dress.Make up and hair perfect.But the dress….You didn’t wear it right,” another wrote.